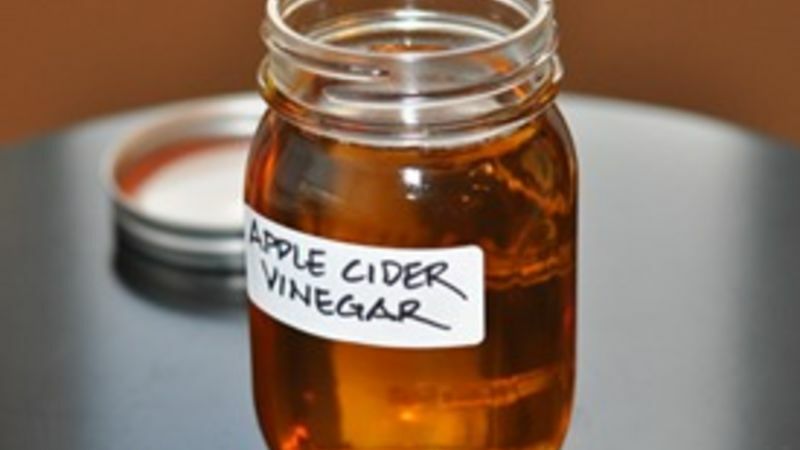 Add apple cider or apple juice to a wide-mouth glass container (bottle, jar or pitcher). Cover open top with cheesecloth secured with a rubber band (to keep pests at bay), and let cider sit on counter for two to four weeks. Test by taste to see when fermenting process is complete. Place in sealable jar to use in cooking.